Last week I was working with SharePoint rest API. In some terms, I needed to do some complicated query in a SP list. To do these queries I prefer CAML. But to use CAML with SharePoint rest API, I have been banging my head against the wall for a couple of days as I was stacked with errors. At last I got the solution I wanted. So, what I missed, is the first condition of using CAML with rest request. That is, it always has to be a POST request. The request header is as same as the other normal post request for SharePoint Rest API. The CAML query can also be used in query string of the rest request. But it makes the URL unnecessarily complicated. If anyone knows of any better approach, please let me know in the comments below and I will update my article. For one of my clients, I was working on developing custom forms to interact with SharePoint lists and document libraries. In that project, there were so many forms to be developed. So, I decided to develop one generic library that can be reused to perform operations using REST API. The aim of this library is to create a generic set of methods as well, keeping one thing in mind that it should be enhanced easily to include more features. In this library, there are a total 4of four files. This file is used to specify list columns we are working with. This file contains all generic methods. Use this file to write application logic. This will be the main file referenced in our page, the rest of the files are loaded from Main.js itself. It can be used to specify constants as well as utility methods. I have also provided detailed information and instructions in attached zip file. There are two important REST API Services available to get the current logged in user or get full account details using the userId. This will return complete details of the current logged user in your data in XML. If it is run in the browser itself, we can create an AJAX call and get particular value (or) filter it. Another way of getting value using User Id value is to consume “_layouts/15/userdisp.aspx” and pass userId as query string value and get complete myblog site as response. The Data object contains all user profile properties. This post will help you Configure People Picker for a domain with One way trust. If SharePoint is installed on a domain that has a one-way trust with other domains and you want the People Picker on SharePoint 2013/2010 to show users and groups from those other domains, you have to use the STSADM command to configure the People Picker. This is tested on SharePoint 2010 and 2013. 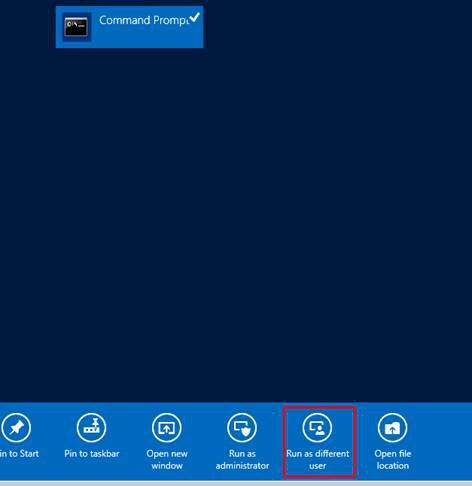 How to use stsadm commands in SharePoint. In SharePoint Server, Click Start and type CMD. We have change the path in order to excute STSADM commands. To change the path run below command. where “Key” is any value. For two way trust there’s no need to set an encryption key, it means you can skip step 1 for a domain with two-way trust. You can add more than one domain. Just delimit them with a semicolon and a space. Run below cmd to test if value has been set for people picker or not. 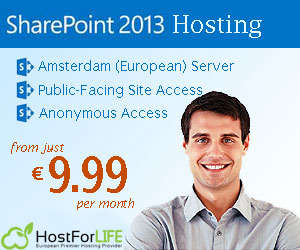 SharePoint 2013 Hosting – HostForLIFE.eu :: How to Check/Retrieve Folder Operations On/From SharePoint Online Libraries Using PnP Core CSOM Library? In this article, I will tell you about how to check/retrieve the folders on/from SharePoint Online libraries, using PnP Core CSOM library. The main advantage of using PnP Core library is the reduced code to get the required information. The required object can be retrieved with a very small piece of code, once the client context is set. The code, given below, is being tested, using Visual Studio console Application. Once the console Application is created, the packages can be installed, using Install-Package SharePointPnPCoreOnline command on Package Manager console of Visual Studio. Once installed, the references and packages will be imported to the solution. The references used in the sample are given below. The Authentication Manager is used to retrieve the client context of the site. To connect to SharePoint Online site, the method, given below is used. Tenant Password (or secured string). Input the site detail, the user details for the authentication, library and folder information. Authenticate and get the client context of the site. Retrieve the target list, using PnP Core library with the help of GetListByTitle method. Using the list object, access the root folder and then the required folder with FolderExists method. The code snippet, given below shows the example of checking the folder availability. Using the list object, get the required folder, using ResolveSubFolder method. The code snippet, given below shows the example of retrieving the folder/subfolder from the library. I hope it works for you! Thank you.